Bazooka Brothers can supply you with our signature product the B-AR45 Hybrid Carbine, B-AR45 Stripped Lower Receiver, B-AR45 Complete Lower Receiver and extra magazines for all three. Let us know what your needs are and we'll do our best to fill them. Bazooka Brothers is one of the first AR15 lowers purposely made to accept 30rnd Grease Gun mags (ordered separately}. We have sold our lowers to individuals all over the US who use them in Sub-Gun matches, Three-Gun matches, Law Enforcement and for personal defense. At Bazooka Brothers Mfg. 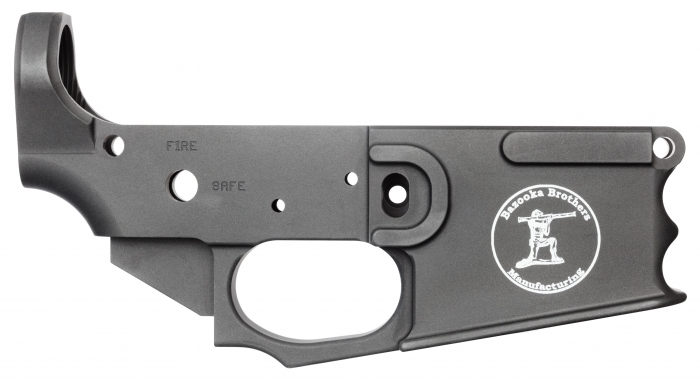 We are always looking to improve our product and in keeping with that we are releasing an all new lower receiver. Our new receivers are solid billet 7075 CNC'd lower. They will have a Type 3 Hard Coat Anodize for the most durable and consistent finish. Our lowers accept all mil-spec lower parts kits, there are no specialty parts required. 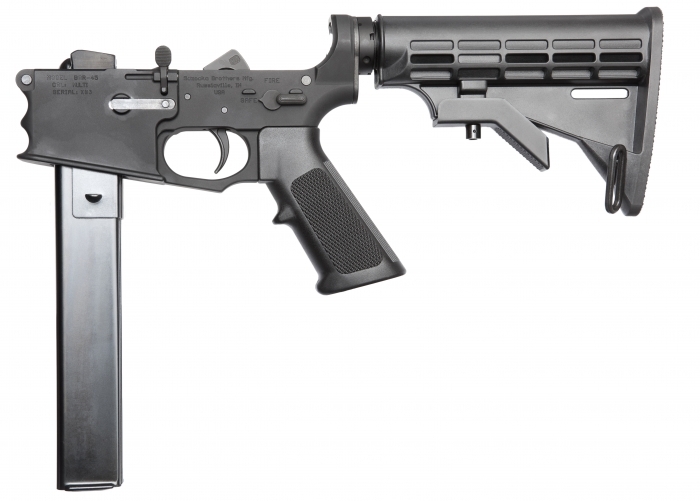 Our new Hybrid lower will accept all mil-spec rifle mags as well as (with a mag blocks) Grease Gun and 9mm Colt type mags. With our new Hybrid lowers the caliber range you will be able to use would include any of the intermediate rifle and pistol calibers available to the AR15. Add $30 for 30rnd Grease Gun magazine.